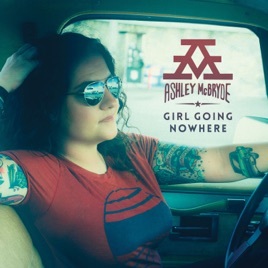 Motivated by the words of a teacher who thought her dreams of making music were too fanciful, Ashley McBryde titled her debut album Girl Going Nowhere. 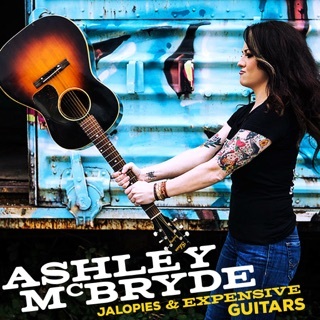 Suggesting quite the opposite, the Arkansas singer/songwriter brings a rock edge to classic country, sharing the hard-won wisdom of a decade of singing in bars. Breakthrough track “A Little Dive Bar in Dahlonega” is a tribute to the uplifting power of music in tough times, but occasionally the assured swagger in her voice gives way to vulnerability and reflection, most stirringly on “Andy,” a tale of enduring love. Ashley is bringing back true country music in well written songs about real life. She’s a talented artist who doesn’t rely on a lot of fluff - you get a pure voice with feeling. She’s a bad@$$ going her own way and I am here for it! Love her soul and sas! She’s an amazing songwriter and guitarist! Buy this!! Ashley is awesome!! Been listening and a fan for 14 years! Glad everyone else is now finally able to hear her and she can share her talents with the world!! Nothing but awesome!! 3/30- update- the rest of the album dropped and I absolutely love it! Especially check out tracks #2,5,8 and 11!! Of course #1– girl going nowhere is a great track too!! !